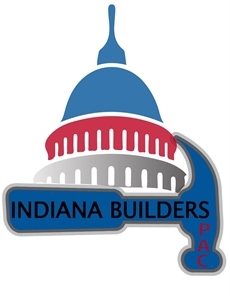 Indiana Builders PAC is the Political Action Committee of the Indiana Builders Association and was created in 1982. It enables builders and lobbyists to develop effective networking programs with Indiana government leaders and has produced effective results in numerous political campaigns. Every dollar the Indiana Builders PAC spends on electing business-friendly legislators and keeping them in office represents an investment in our future that will pay exponential dividends in the years to come.100% of your donation goes to Indiana Builders PAC. All contributions to Indiana Builders PAC are voluntary and are not tax deductible for federal income tax purposes. Paid for by the Indiana Builders PAC.